Let's face it, teaching children's Primary music in The Church of Jesus Christ of Latter-day Saints is different than teaching music anywhere else. In no other group of music teachers will you hear conversations about praying for guidance, seeking revelation, and the literal saving of souls. Yet despite our differences from the rest of the educational world, the similarities between us are striking. 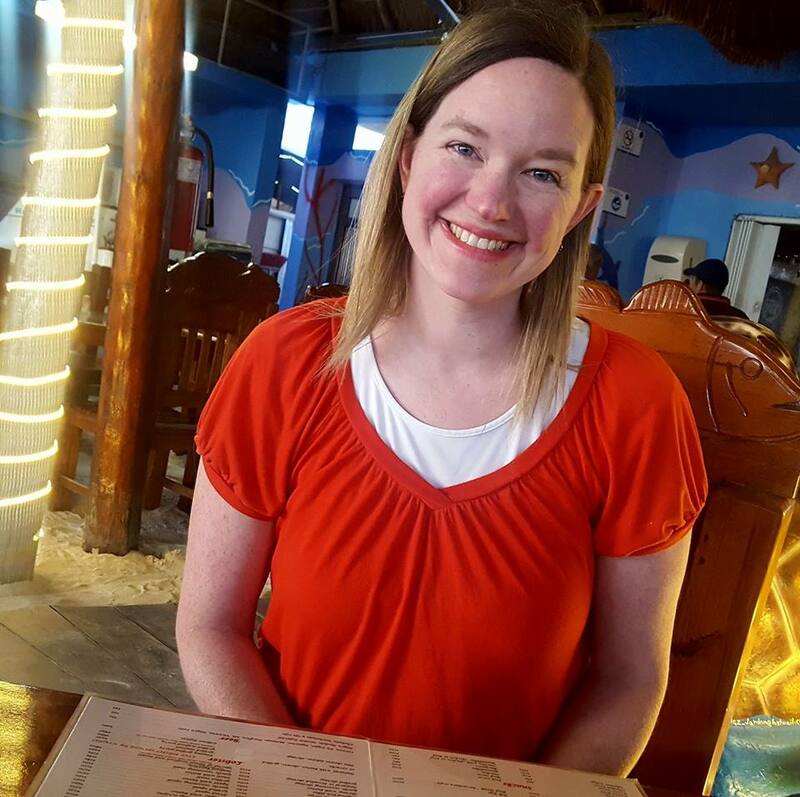 I am currently pursuing a Master's degree in gifted education, and the more I learn, the more I realize how much secular theories of education and instruction are useful in a Church setting. Every time I learn a new teaching strategy, I am eager to apply my knowledge in my gospel teaching. As I've done so, I've started noticing and focusing on the gifted children around me, and the outcomes have been amazing. So, today I'd like to combine some of my experiences to explore the question, How do we better teach gifted students in Primary music? I'd like to share with you some of the principles that I've learned. This post will cover 1) a brief overview of what it means to be gifted and 2) strategies for teaching gifted children in your Primary music class. The term gifted as used in the teaching community refers to a student whose educational needs are advanced to the point where those needs cannot be met by regular curriculum. That's the idea in a nutshell. The chart on the right shows this idea in a more quantitative way, if that's how you like to think of it. IQ, or intelligence quotient, is only one way of measuring intelligence. An IQ of 100 is smack dab in the middle of the pack, so 50% of people on earth are above 100, and 50% of people are below. 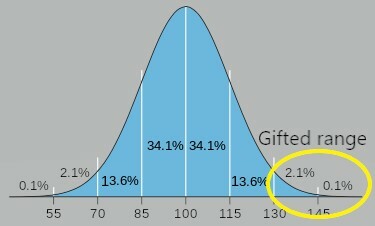 The gifted range is roughly 130 and above, so the top 2%. It is careful to note when discussing gifted students that we are not suggesting that gifted means better. Not at all. Perhaps the best way to describe gifted students is students who develop asymmetrically, where they develop at varying rates in intellectual, physical, social, and emotional areas. Most gifted children are very strong in one area, while at the same time they are very weak in another area. The main point to remember is that students on the extreme ends of the IQ chart need to learn in a different way than our other students. The lowest IQ students on this chart are classified as special education, and we understand we must give those students different experiences to help them learn at their level. Gifted education strives to provide that same individualized education to the highest IQ students, who also need special teaching in order to actually learn and progress. The next section in this post offers a handful of ideas to help you see how this could look in your Singing Time. Do you know who the gifted students are in your Primary? Are you sure? Not all gifted students are alike. I had one gifted 10-year-old who piped up during Singing Time and started talking about the various minor chords we were using. I didn't have a clue what she was talking about! It was easy to see that she was gifted in music. I discovered later that I had another gifted 10-year-old, this one with ADHD, and I hadn't known how much he understood because--being bored--he was always playing around with his friends on the back row. But he also was an advanced learner, and he just needed more. You probably won't know which of your students are actually classified as gifted, but a formal designation isn't what will concern you most. If you'd like to focus on students who are advanced, then look for those who need to learn a little more, a little faster, a little deeper. You can talk to your Primary presidency, the teachers, the parents, or your Father in Heaven to try to get a sense of which students these are. In fact, just this new perspective might be enough to help you recognize these students on your own. My Primary music mentor, Sharla Dance, heavily focuses on 8 different learning styles. 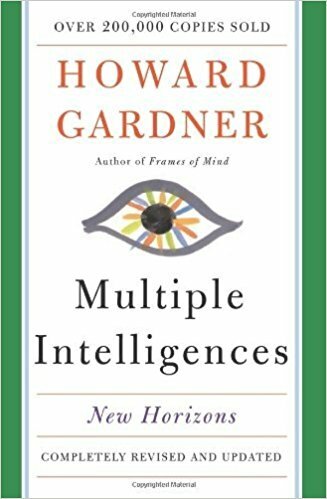 She took these from Dr. Howard Gardner's theory of multiple intelligences, which he first wrote about at Harvard University in 1983. I give an overview of their application to Primary music here. While these principles are beneficial for all children, they are especially crucial for the gifted, who usually develop strongly in one area to the neglecting of other areas. So, it becomes vital that we not choose one teaching method and then never deviate from it. Even if it's a great activity, it simply cannot reach all of our learners. Variety is key. One of the hallmarks of a gifted student is that she will learn more quickly, with fewer repetitions. After mastery, additional unneeded repetitions will actually reduce her brain's ability to learn. But the rest of our students need tons of repetition, right? So what do we do? Panic?! Well, sometimes...but it's better if we repeat but with variations. Let's say the current learning activity is a pattern with sand blocks (read my post on DIY sand blocks here). You start with a simple pattern of scrape-scrape-hold-scrape, but after one sing-through, your quick kids will have it. So the next time, you add a piece to the pattern. The next time, you mix up the pattern completely, using symbols on the board to represent the different sounds/motions. Then, you could add in a partner clap. Then, you could have a child come up and rearrange the symbols on the board into a different order. Here is a post that outlines this type of progression in more detail. Using layers of difficulty like this will completely engage your gifted learners while providing the repetition everyone else needs. Many gifted children are used to not being challenged, and so they don't put forth effort anymore. The job of any teacher is to help apathetic students reengage, but with gospel teachers, our responsibility is of eternal importance. When you notice a child choosing to not participate on a regular basis, sometimes he just needs a chance to help out. Once, I reached out to one of my almost 12-year-old girls (who was just counting down days 'til her birthday) with help leading the second part of "A Child's Prayer." I went to her house, we practiced together, and then she helped me lead during Primary. We both loved the experience! Not all of your students will be capable/willing to lead music, and that's okay. Maybe one child would be willing to learn a tricky instrument pattern beforehand, to help you demonstrate it. Or maybe one would draw you a poster. Just seek for inspiration on what they individually need. Entire degrees are devoted to studying the characteristics and needs of gifted children, so there's no way I can express everything there is to know in one blog post! However, I hope this has provided you with an opportunity to see your students through more aware eyes and thus discern how better you can serve them. Please feel free to comment or email me with any questions you have. There's nothing more important we can do than help our children.